For most people, riding the elevator is an old habit. 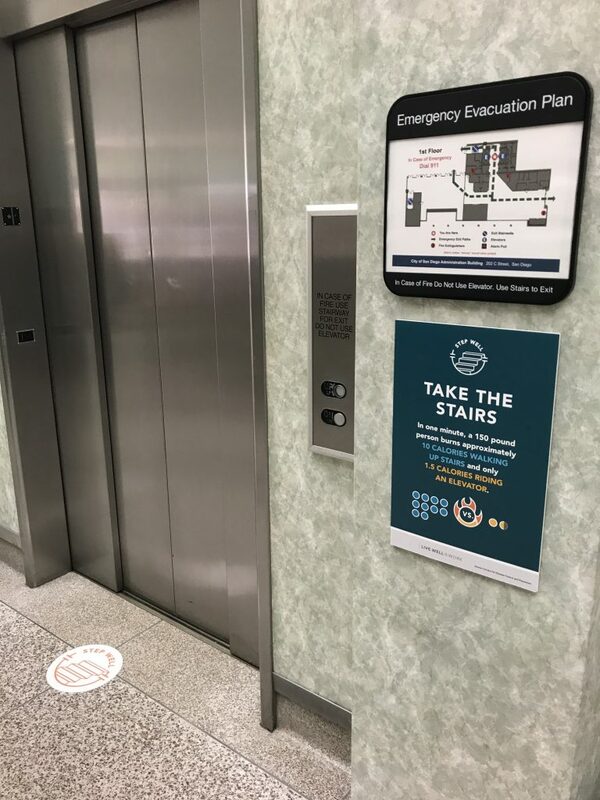 The City of San Diego is trying to change that habit for both employees and visitors by posting “point-of-prompt” motivational signs at the places where people have a choice between the taking the stairs and riding the elevator. 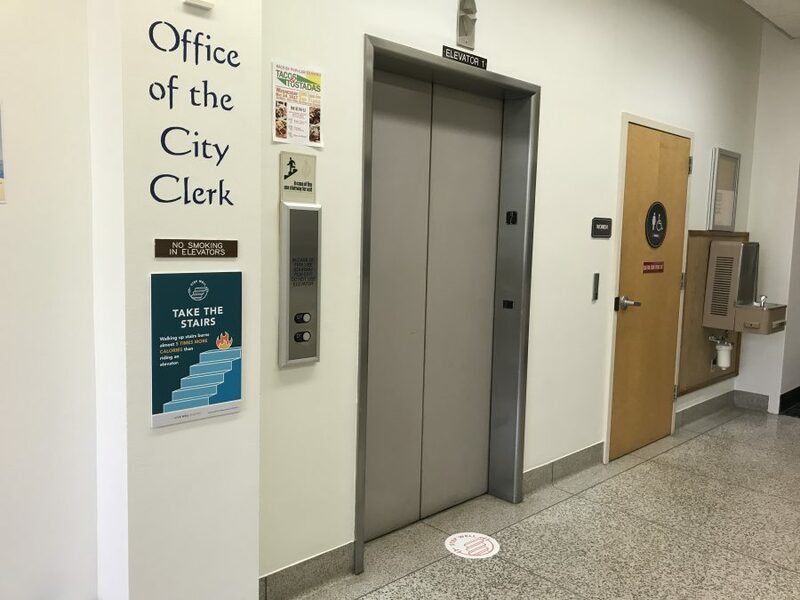 The City of San Diego launched the campaign at the City Administration Building in partnership with Live Well @ Work, an initiative of the County of San Diego Health and Human Service Agency (HHSA) in partnership with the UC San Diego Center for Community Health that provides customized, no cost support in establishing comprehensive wellness programs to create healthier workplace environments that are supportive of healthy eating and active living. 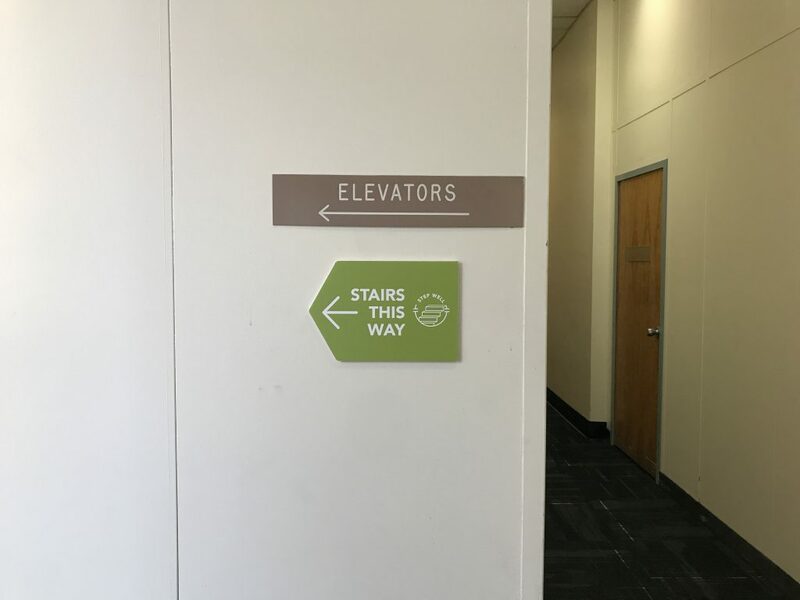 Once inside the stairwell, employees are encouraged to keep making the healthy choice. Motivational signs posted at the top of each flight remind them that even small improvements in physical activity levels make a difference. 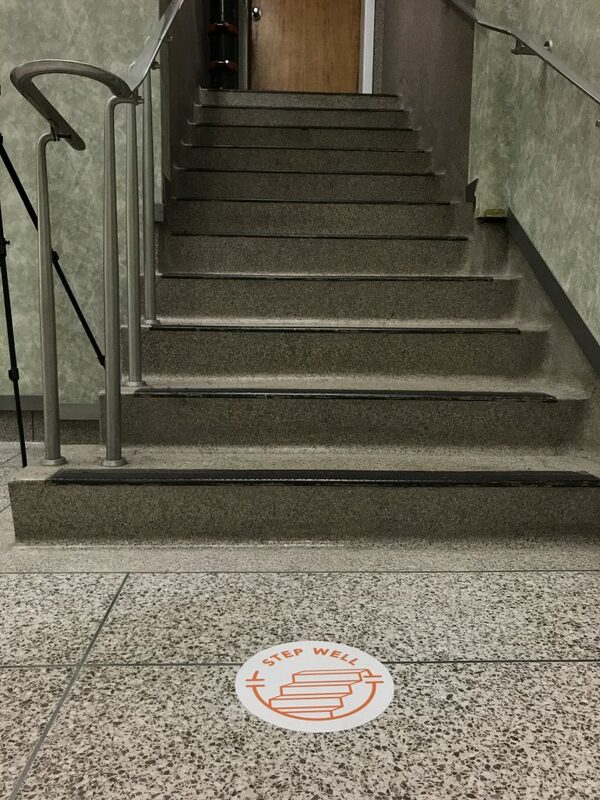 The campaign and signs were inspired by the Centers for Disease Control and Prevention’s (CDC) StairWELL program. 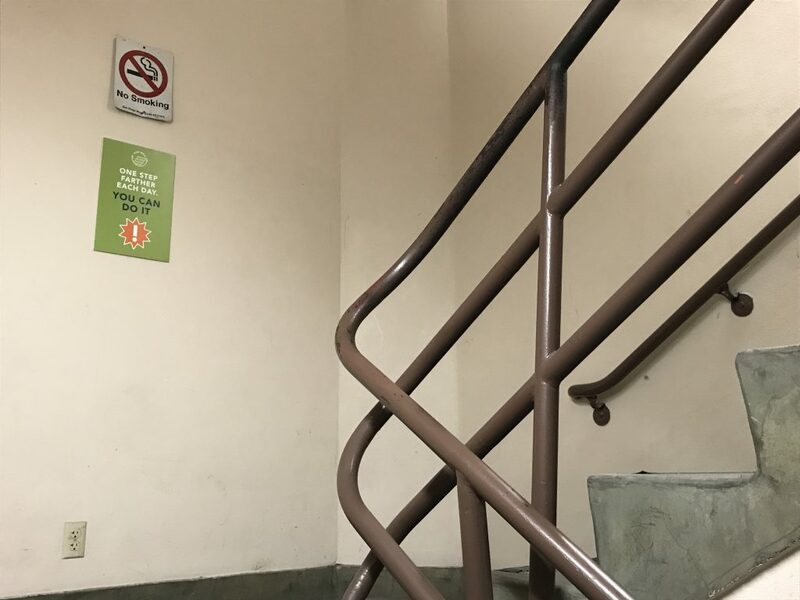 The evidence-based StairWELL program is proven to increase stairwell use and, in turn, improve health. Next Article: Markets Get a Vision for a Refreshed New Look!